A mesmerizing vocal recital by Ashwini Bhide Deshpande and a master performance by legendary Sarod maestro Ustad Amjad Ali Khan brought curtains down on the four-day Delhi Classical Music Festival that witnessed memorable performances by some of the finest Indian talent in Hindustani music. The Festival of Classical Indian Music is organized by Department of Art, Culture & Languages, Govt. of Delhi and Sahitya Kala Parishad and offers an interesting mix of participation from veteran as well as young performers. Ashwini Bhide Deshpande is a renowned vocalist of the ‘Jaipur Atrauli’ Khayal Gayaki tradition and her unparalleled contribution to Indian classical music has won her widespread acclaim, awards and citations. She was the first female Hindustani vocalist who was decorated with the prestigious "Rashtriya Kumar Gandharva Samman" in 2005 by the Government of Madhya Pradesh. Further, she was also the recipient of the Sangeet Natak Akademy Award for 2014. The Sarod maestro Ustad Amjad Ali Khan who was the other performer of the evening needs no introduction as the most popular Sarod exponent across the world. Ustad Amjad Ali Khan is a living legend and has played an exceptional role in enhancing the popularity of Indian classical music across the planet. He has earned the distinction of creating many new Ragas and has been instrumental in providing exceptional innovation in the realms of our traditional music. The wizard of Sarod has performed worldwide and is the recipient of several prestigious awards like the UNESCO Award and Padma Vibhushan. Two books have been written on the majestic personality - ‘The world of Amjad Ali Khan’ by UBS Publishers in 1995 and the second, ‘Abba-God’s Greatest Gift to us’ by his sons, Amaan and Ayaan published by Roli Books-Lustre Publications in 2002. Further, a documentary made on Mr. Khan ‘Strings for Freedom’ was the winner of the Bengal Film Journalist Association Award. “The origins of Indian classical music can be found in the Vedas, the oldest scriptures in the Hindu tradition dating back to 1500 BCE. However, over the centuries, our music has incorporated inputs from multiple sources and has enriched itself with confluence of different traditions that met in the Indian subcontinent. Our instruments have held their own even in times of digital and techno driven musical instruments. 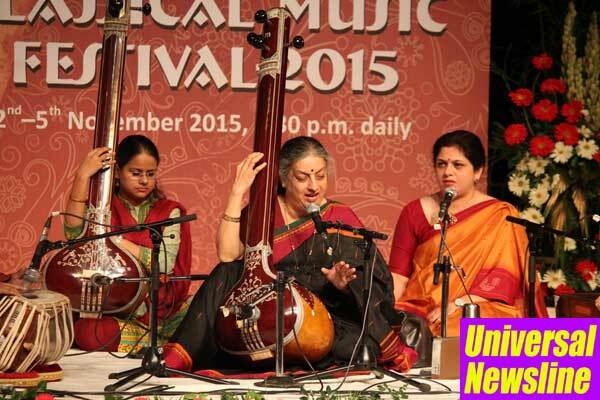 Indian classical music is a true representative of our rich identity,” says Pt. Hariprasad Chaurasia. “In recent years there has been an animated debate on whether our classical music is losing out to the modern pop culture. However, when I see young music enthusiasts eager to learn our classical traditions and keen to master their hands in it, I feel confident of a bright future for our indigenous music. 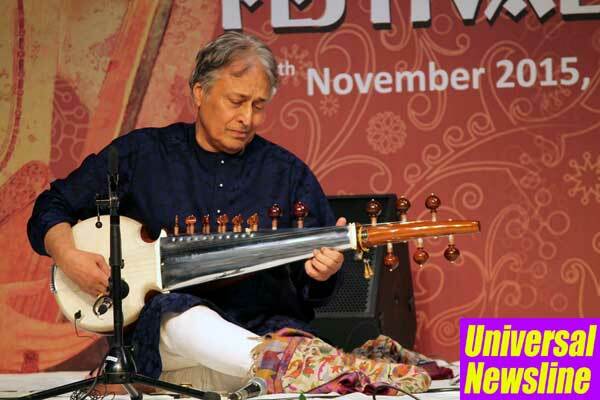 We need more such festivals to encourage young talent on the scene,” says Ustad Amjad Ali Khan. The festival finished on a high note and the audience was completely mesmerized by the revered exponents of our country’s classical music.